Dense Fog South Of The Roswell Airport Saturday Morning. 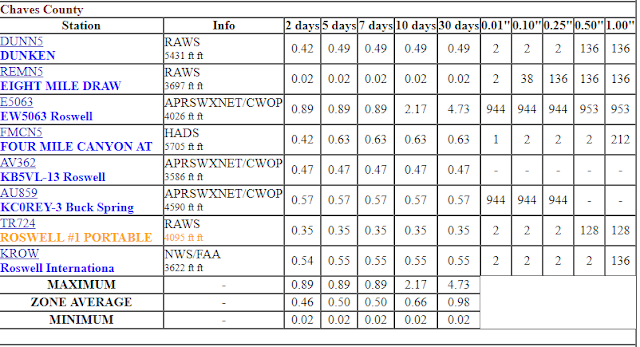 NWS Rainfall Analysis - 7-Day Totals. 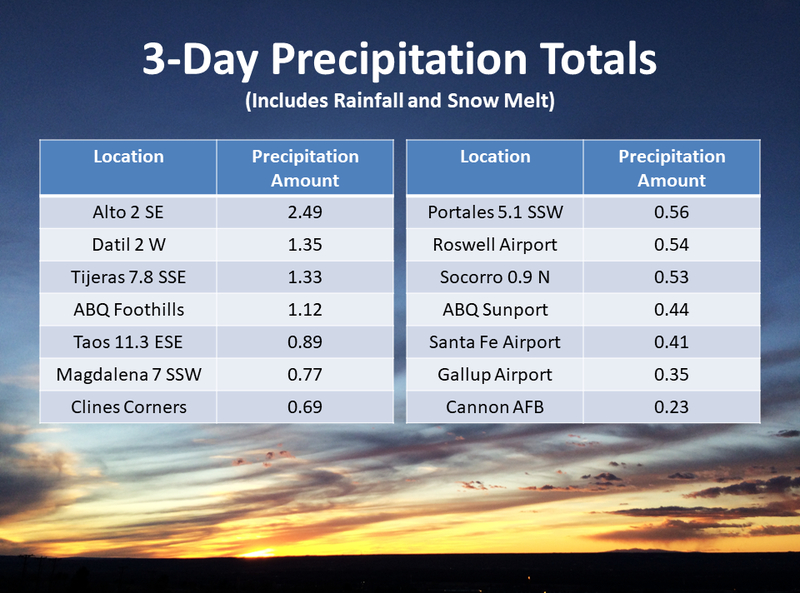 Most of this precipitation has fallen over the past three days. West Texas MesoNet 96-Hour Storm Total Rainfall Amounts. 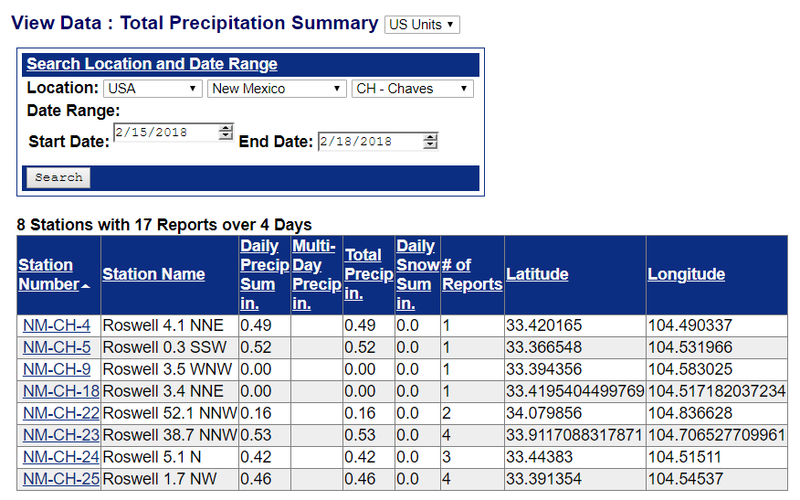 NWS Albuquerque 3-Day Storm Total Rainfall Amounts. 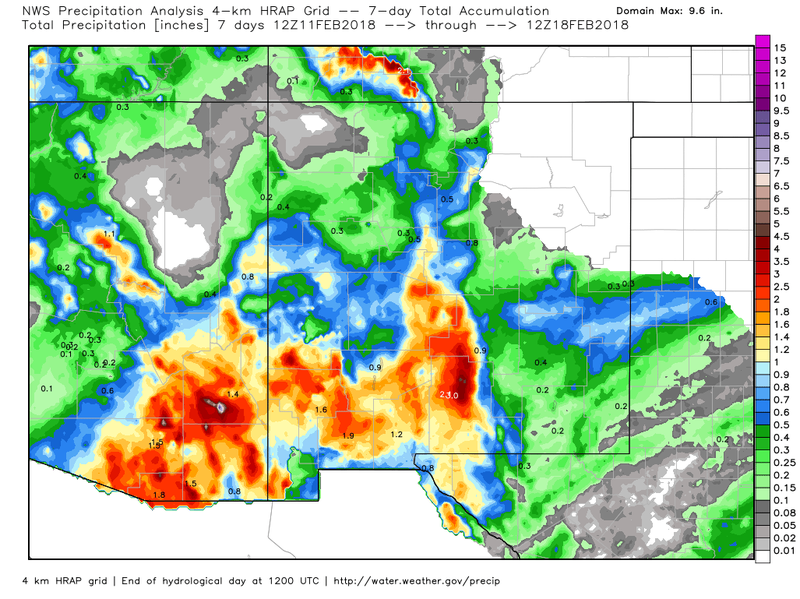 Mount Lemon near Tuscon, Arizona ended up with a storm total of 9.17" of rainfall! 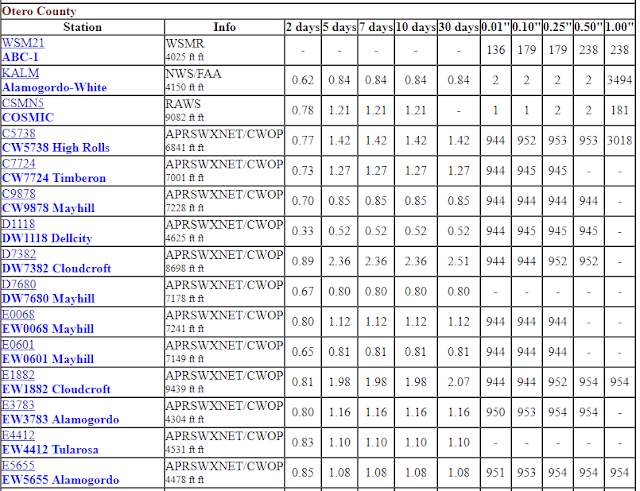 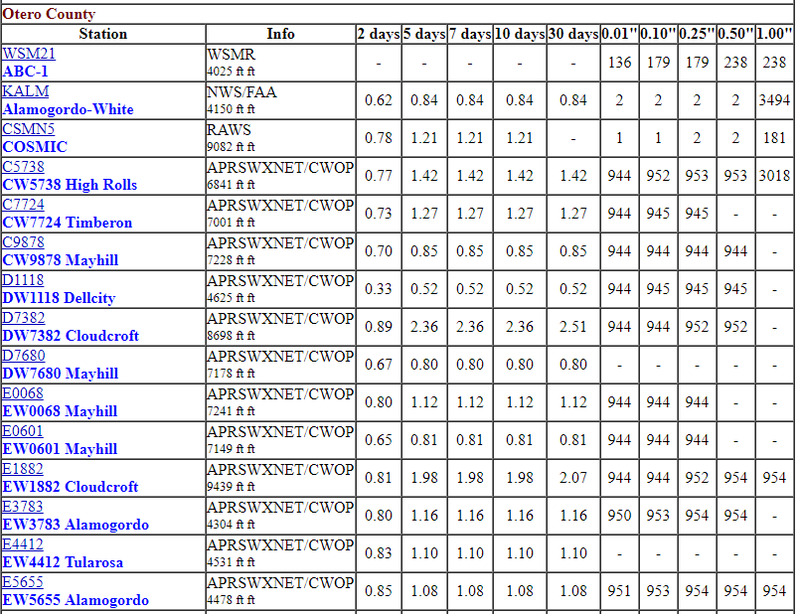 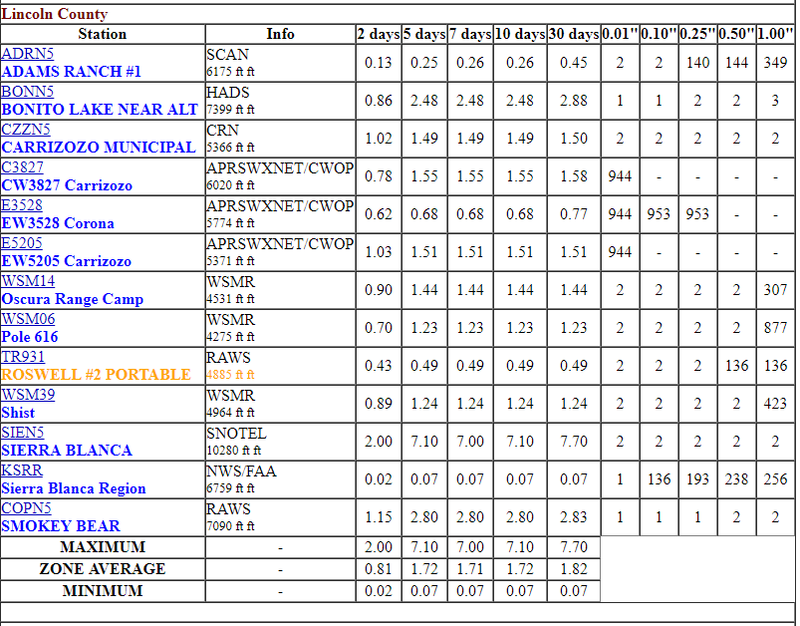 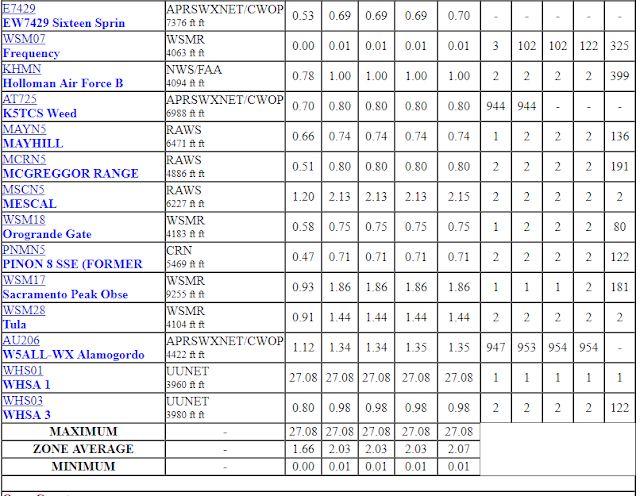 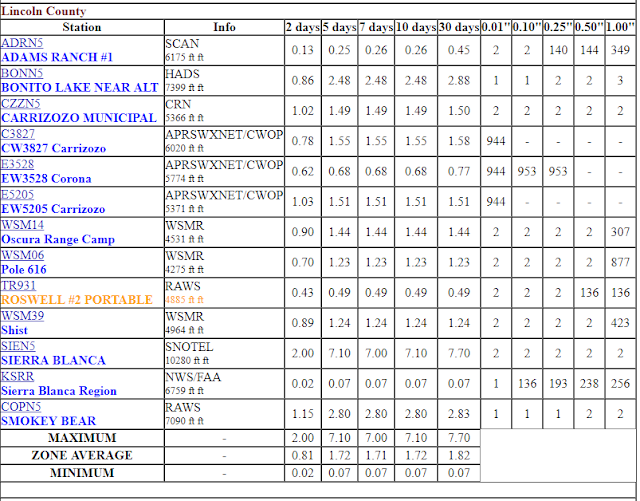 NM CoCoRaHS & NM MesoWest Storm Total Rainfall Amounts. 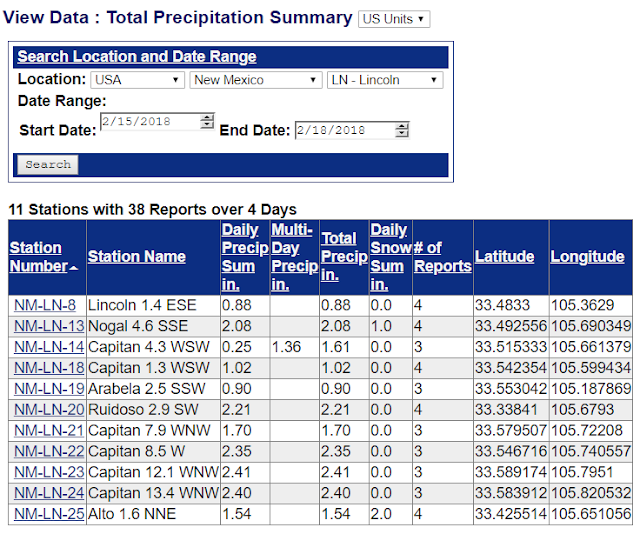 I'm not sure what is going on with the Sierra Blanca Snotel Gauge. 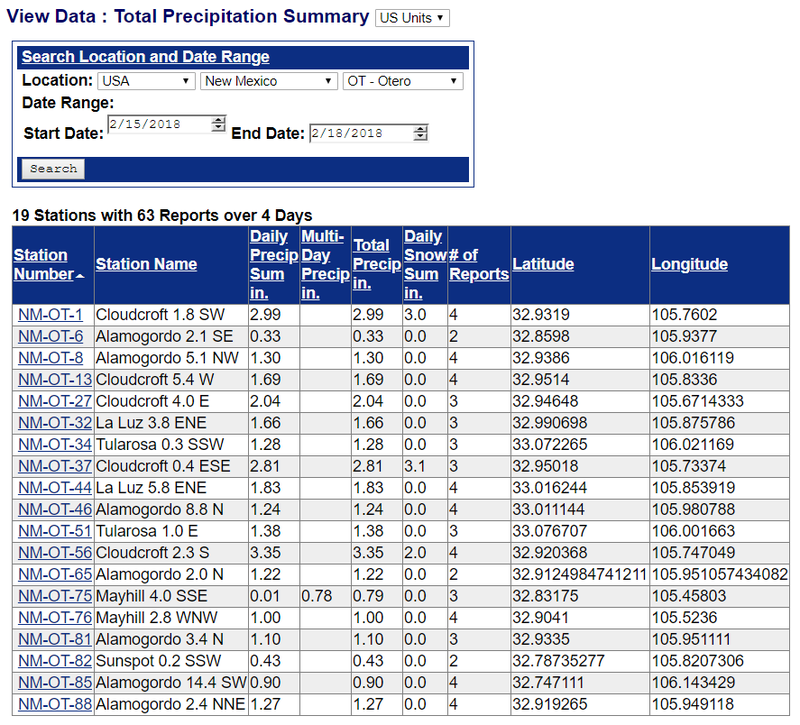 I have a hard time believing that 7.10" of rain fell. 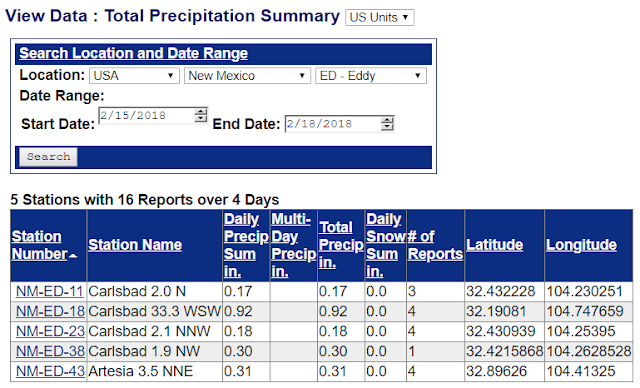 Radar storm totals don't support this, and neither do other nearby rainfall totals, and there was no flash flooding on the Ruidoso and Bonitio Watersheds that I am aware of. 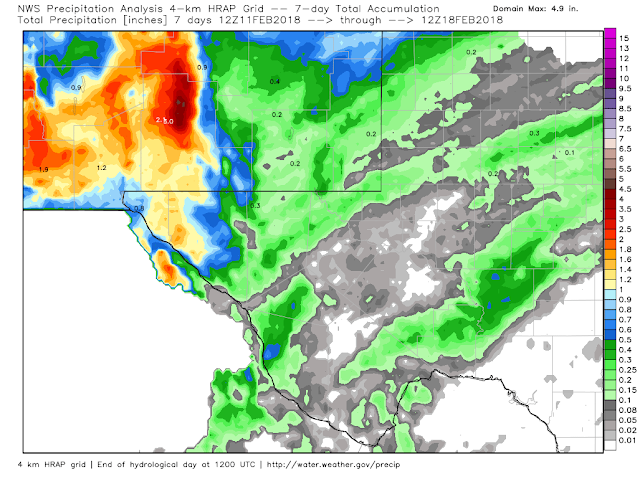 Use the 5-day totals for the storm total rainfall amounts over the past four days in the MesoWest column. Most of this precipitation has fallen over the past three days as of 5 AM MST this Sunday morning, February 18, 2018.